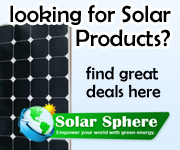 My name is Jacob (Yaacov) Mintz and I've a passion for Solar Energy and energy conservation tips. I was born in what is now Israel and I spent most of my life in Israel. Now, I still live in Israel and I spend a few months every year in Southern California. The picture shows me in Huntington Gardens Pasadena, California on a sunny day (traveling is my favorite). Yaacov is the way my name is pronounced in Israel, Jacob is the way non-Israeli would call me. I graduated from the Technion in Haifa, Israel as an Electronic Engineer. Lately I retired from my work in Intel, I’m still offering my services as a consultant and serve on Technical Advisory Boards of start-up companies. How did I build this site? Would you like to do the same? 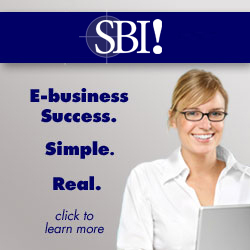 If you want to launch a new career, you've just retired like I did, or you want to work from home, SBI is the perfect site building environment for you. Most ancient civilizations worshiped the Sun as a Deity. Then, the 3 big monotheistic religions demoted the Sun and it was considered as another creation of the Almighty. Regardless of what our religion belief is, we know that the Sun is the enabler of life on our planet Earth. Millions of years ago, plants decayed into coal, and small animals decayed into crude oil. Human beings are in a rapid race to deplete those resources. The accelerated burning of fossils (coal and crude oil) pollutes our planet atmosphere and our water. I want my grandkids to live through the 21st century in a cleaner and safer environment. I’ve the education necessary to deliver the message. This site is my humble contribution to better life on planet Earth.